College Bowl Competition brings food science students together for a friendly competition. Photo by Matt Lavoie. On Saturday, March 30, student representatives from five universities gathered in Nutting Hall for the Institute of Food Technologists Student Association’s (IFTSA) North Atlantic Area Meeting and College Bowl Competition. The IFTSA competition has been held annually since 1985 when it was created as an effort to recognize the achievements of food science students. 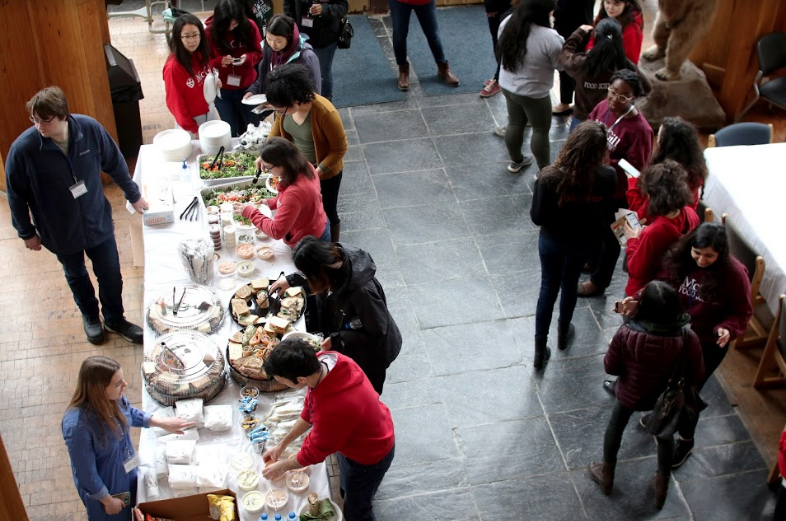 This year, the student-led event brought 80 food science and human nutrition students from Cornell University, McGill University, the University of Massachusetts Amherst, Rutgers University and the University of Maine together in an effort to build a strong student community through participating in a trivia competition. The North Atlantic Area Meeting allowed university chapters to share information about their school’s accomplishments and activities throughout the year. Students connected with peers and professionals who are passionate about and work in food science. Volunteers came together to help put on the event and work with faculty, advisors and food science professionals. During the College Bowl competition, teams tested their food science knowledge in friendly competition. Graduate and undergraduate students from each school formed teams of at least four members and were judged based on speed and accuracy. The questions ranged from basic food science related facts to more in-depth questions about food science’s historical background, technological advancements and other aspects of the field. 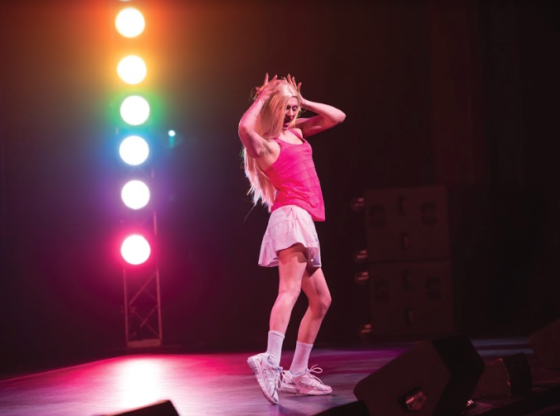 The event was supported by many local and national organizations in addition to the IFT, such as UMaine’s School of Food and Agriculture, PepsiCo, Ocean Spray, Bangor Beer Co., Oriental Jade and Bagel Central. The competition was judged by company representatives from all over the country with experience in food science and the nutrition field. Lisa Tirino, the director of new platforms at Ocean Spray, was excited to judge the College Bowl, having participated in the event as an undergraduate. Despite the competitive nature of the event, many students said their experience was beneficial to more than just their education. Amalie Younes, Emmanuelle Bonnin and Zeynep Memiguven, third-year food science students from McGill University, all said that due to the small size of their department and the lack of food science programs in Canada, this event is their only opportunity to meet students who are equally passionate and dedicated to food science. After a full day of communing and competing, Cornell was awarded first place. As winners of the competition, they will be representing the North Atlantic region at IFTSA’s National College Bowl Competition in New Orleans at “IFT19: Feed Your Future,” as well as receiving full travel reimbursements.